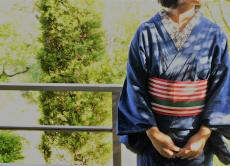 I work as a kimono dresser and enjoy kimono as daily fashion. Kimono has become casual clothes but in fact it is not. My passion for kimono is to encourage more people to coordinate kimono with their everyday fashion.